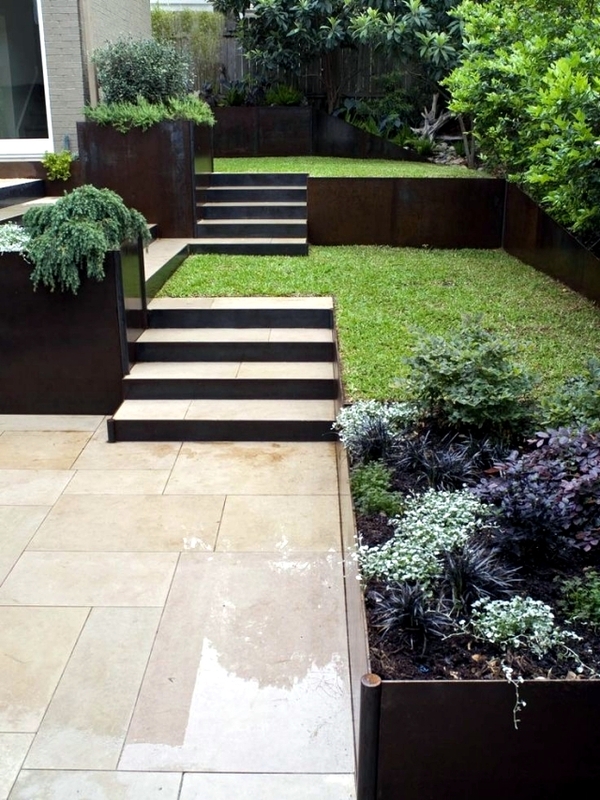 Stairs in the garden are designed to overcome differences in height, but at the same time as an integral part of the composition of the space and to use a visual highlight in the outdoor space. 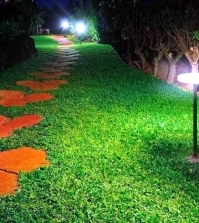 They allow us not only to walk on slopes easily but also to adorn the garden. With their help, the garden becomes interesting and looks different. 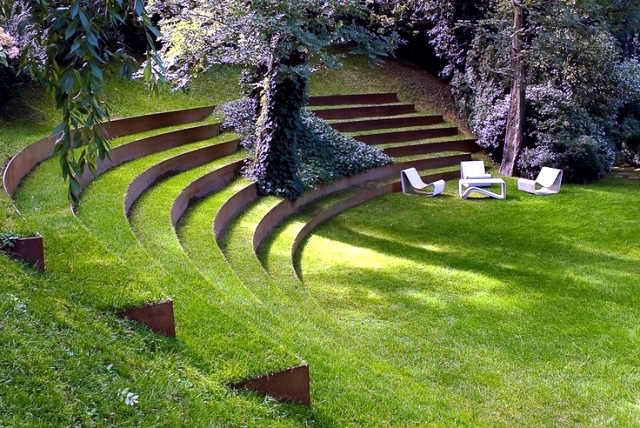 This means that you can create garden stairs both on slopes and on flat ground by creating a difference in the level yourself. 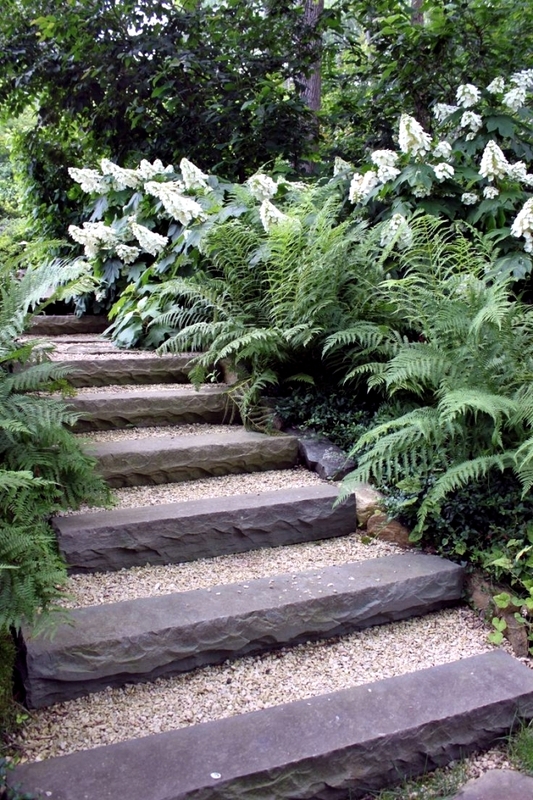 Different height levels create new and unusual places, and you absolutely need stairs in the garden to achieve them. 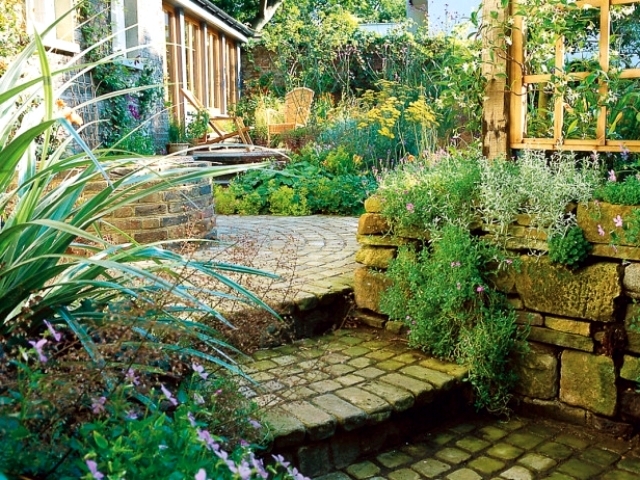 You can use a variety of landscapes, and interesting light and shadow games in your garden. 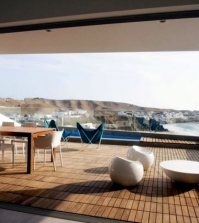 There you can certainly create a perfect place to sit outside. Two steps are enough to mark the beginning of the stairways. 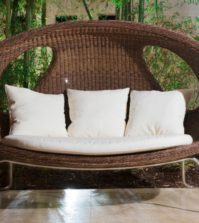 You can make various corners of rest and relaxation with benches, garden statues, or a gazebo. 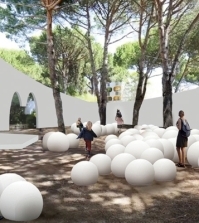 If your garden is big enough, you can consider the idea of a small playground for children and adults. 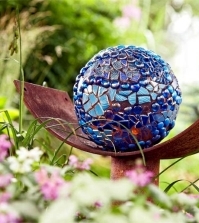 So, your garden will be unique and reflect your style and character. 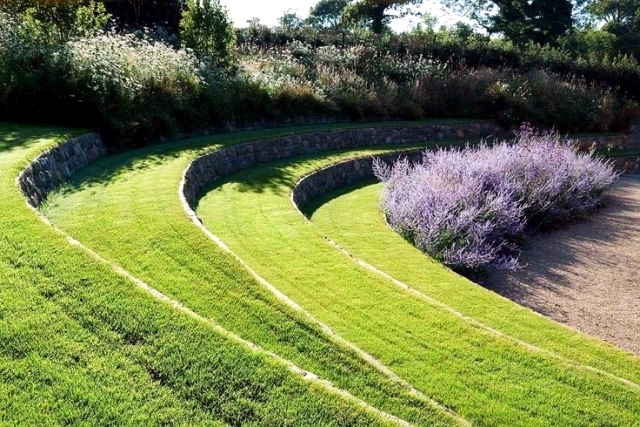 The stairs in the garden can be combined in a stairway, or a few steps can be located individually within walking distance of each other. Their type depends on the soil and their position in the garden regarding the house. 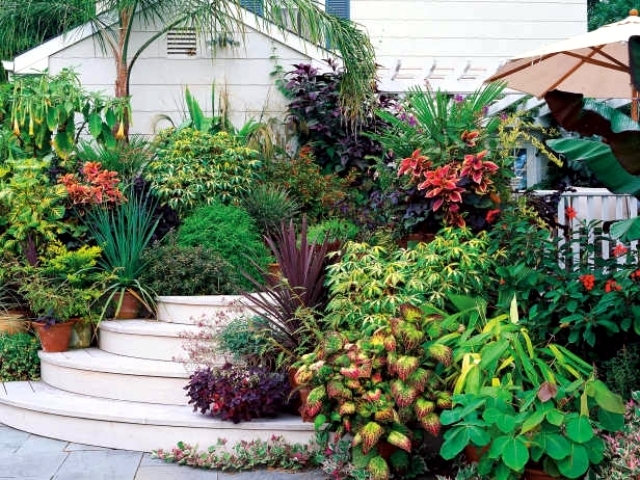 Before creating the stairs of the garden, you must answer several questions. In order to have a safe, reliable and comfortable stairway you should properly estimate how long it should be. Furthermore, the height and depth of the steps are crucial. These measurements are calculated mathematically. It is a simple formula that will help us build up the stairs properly. It is believed that a human step is about 61-65 cm. This makes an average of 62.5 cm. According to the criteria of comfort and safety, this dimension is the sum of the two steps' length and one width. For example, 16 cm + 16 cm + 30 cm = 62 cm. 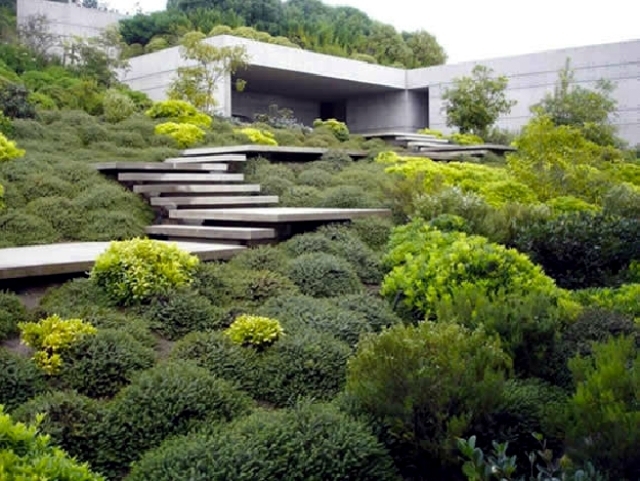 Unlike the stairs of the house, the stairs in the garden will give you greater freedom in the design, because the dimensions of the step are not absolutely required. 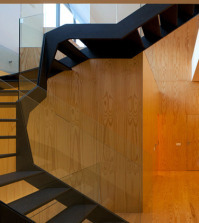 They can be much larger than the interior stairs or be designed in an unusual shape. If you have a very steep terrain and you want to locate the stairs there, they should not be too steep - a step height should not be more than 10-15 cm. 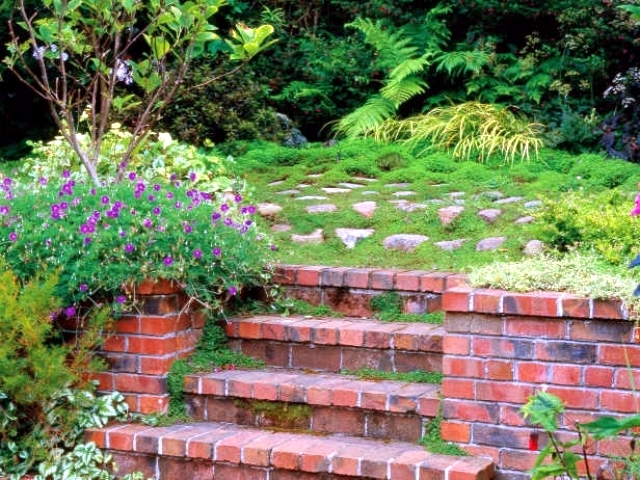 A good stair in the garden is not less than 30 cm wide, otherwise, the insecurities occur during transport. The width should be at least 50 to 60 cm to ensure the passage of at least one person. If you want, you can make garden stairs of a meter wide. Stairs on a steep terrain must be protected by a railing, at least on one side. 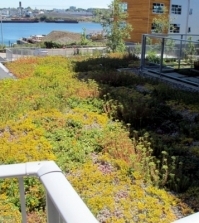 How to make the right model for your garden? 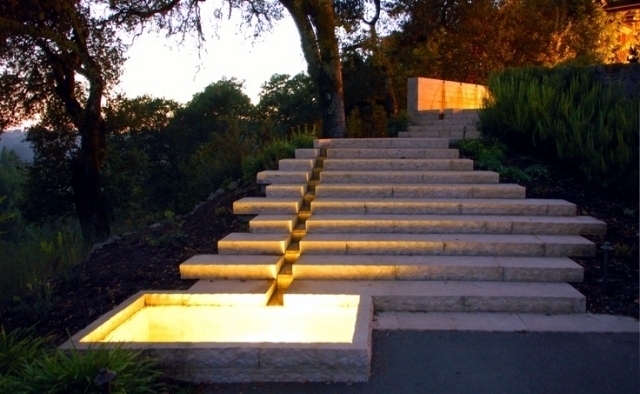 When the terrain has a small degree of inclination, it is possible to take more decorative elements for the creation of stairs into consideration. For example, you can put down interesting decorations on both sides of a wide staircase. 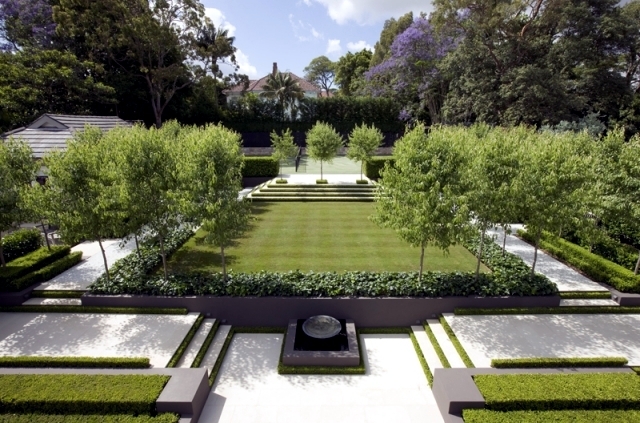 Garden decorations will create a marvelous impact here. 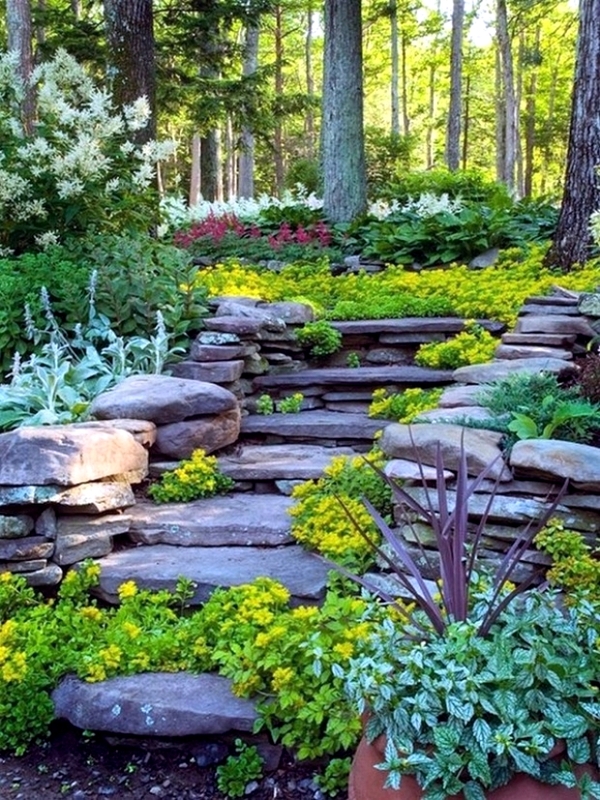 At both ends of the wide steps, you can put flower pots, decorative sculptures, or vases. 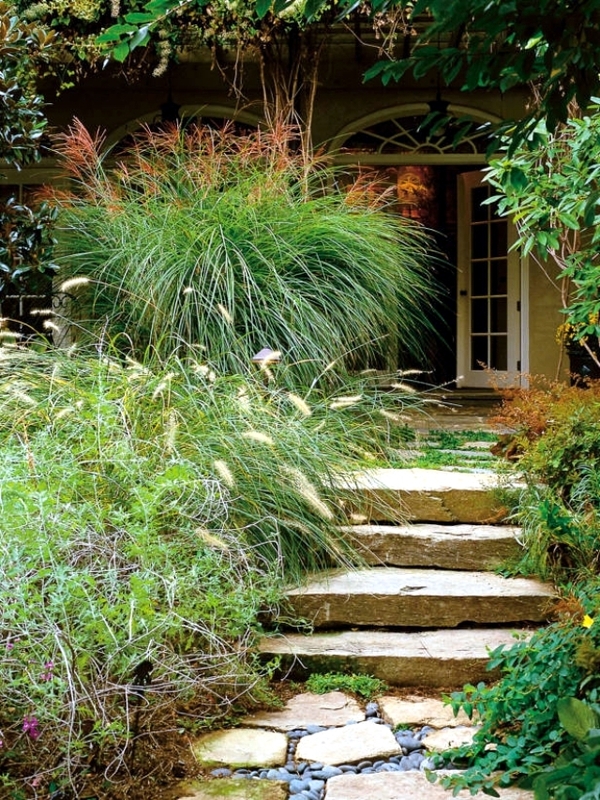 Ornamental grass can be planted on each side of the flower beds. Interesting solutions occur when using different forms of step - circle, semi-circle or other irregular forms are also popular. Creating a single step is not recommended. Do this only if you need to, and remember that the stage must be clearly marked to avoid an accident while walking. 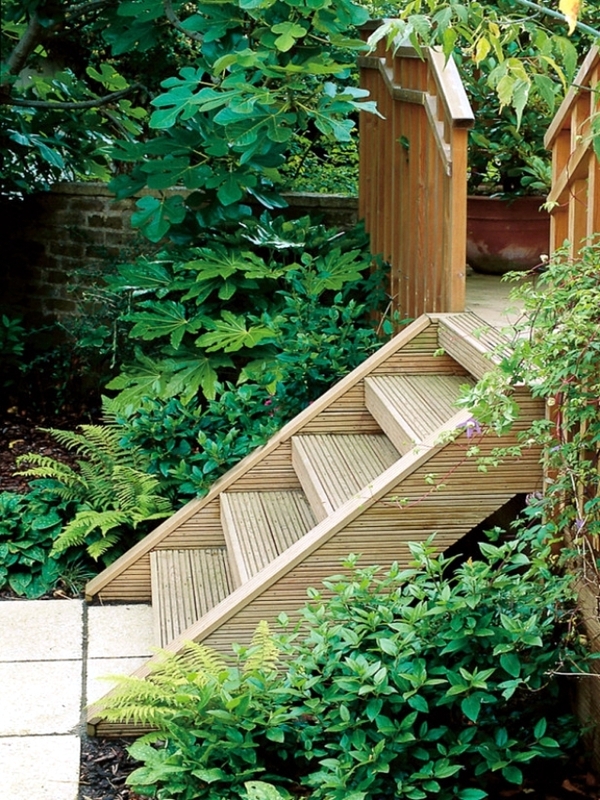 What materials are recommended for stairs in the garden? 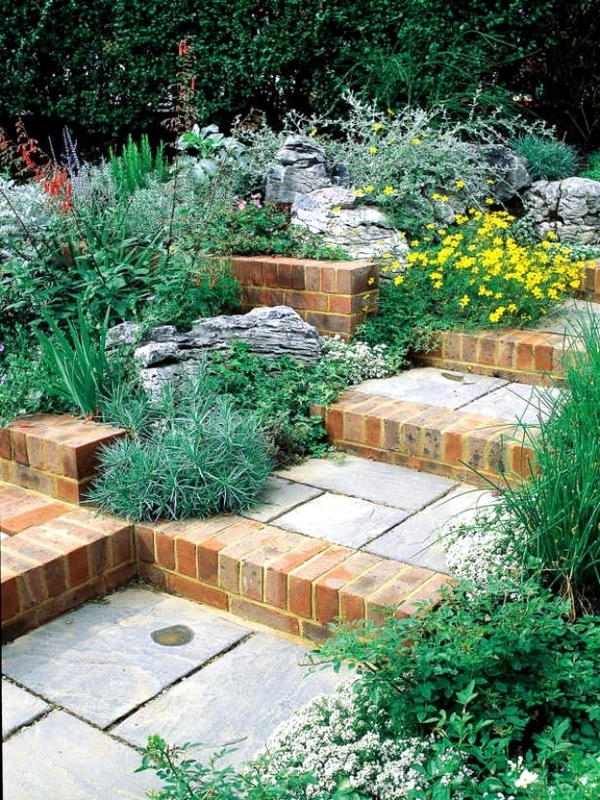 Stairs in the garden are usually made of reinforced concrete, ready-mixed concrete blocks or natural stones. 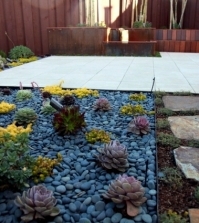 Its surface should be tilted slightly so that drainage will be easy when it rains. 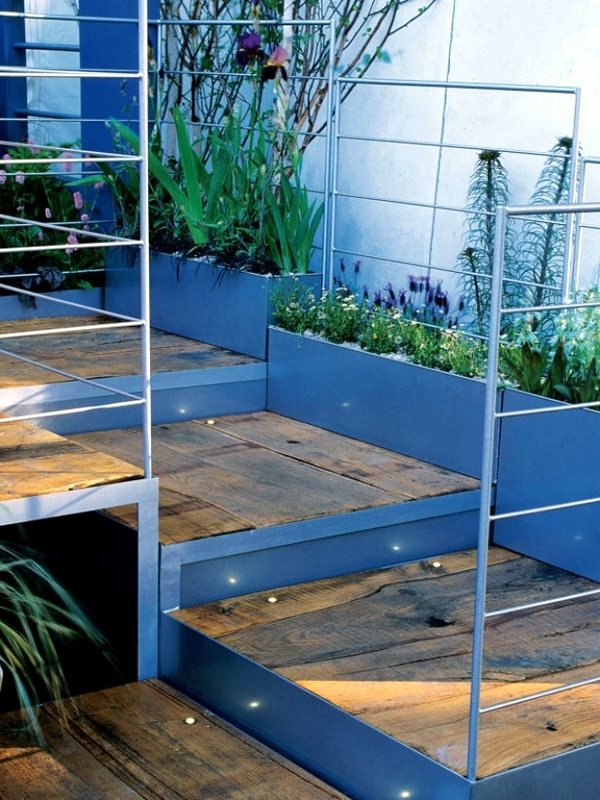 After creating the garden stairs, you also take care of decorative elements around them, so that you can get an amazing look. 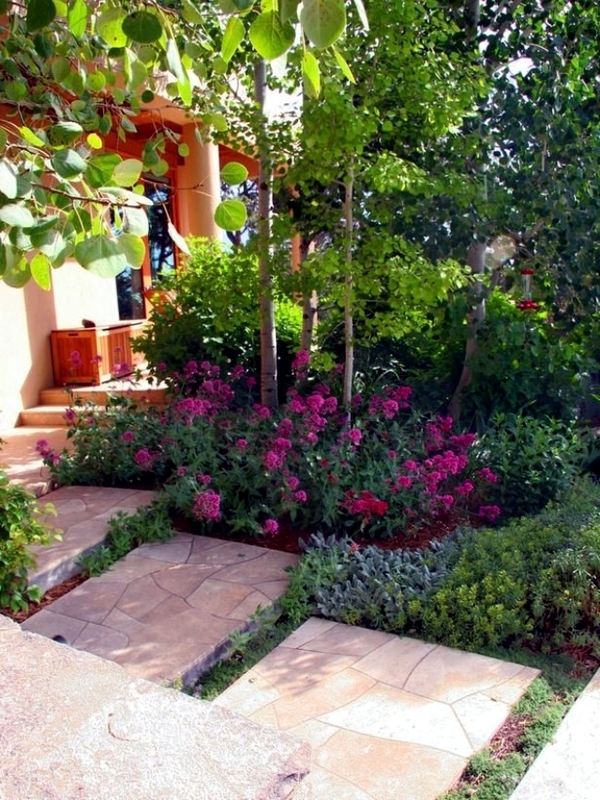 Do not forget, everything in your garden must match the style of the house. 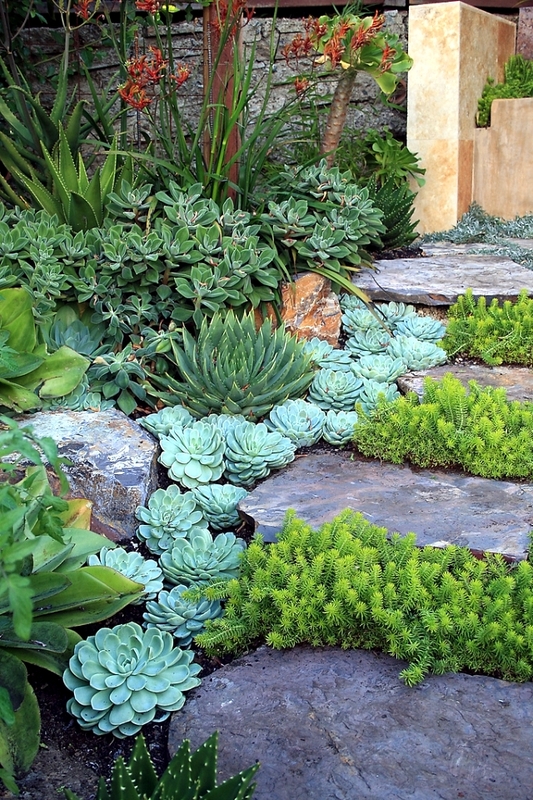 The material of the stairs should be durable and weather-resistant, with a rough surface for a nice walk, even if the weather is wet and rainy. There, any possibility of sliding must be avoided. 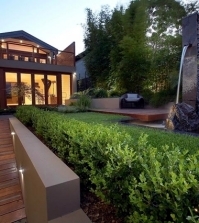 Through the garden stairs, you can show the dominant architectural style of the house -romantic, rustic or modern- or make the garden design stand out clearly. 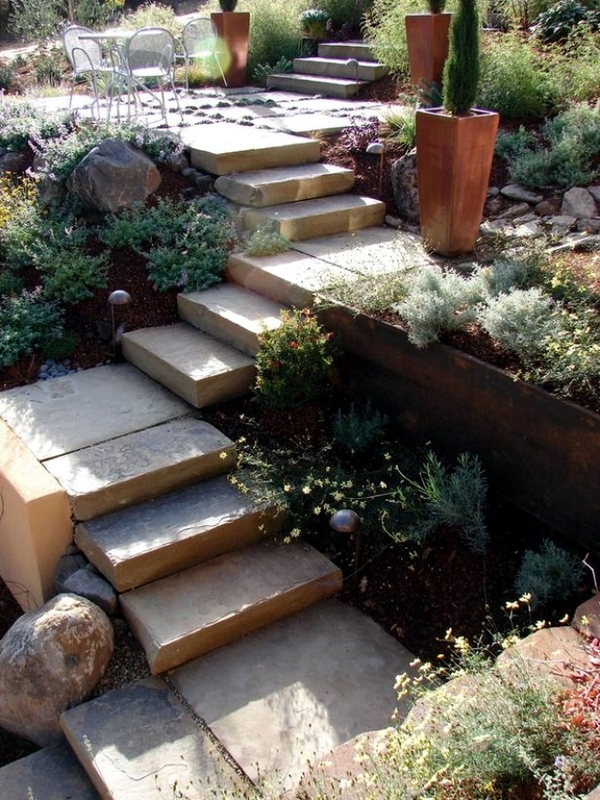 The materials most commonly used and most suitable for the garden stairs are natural materials - wood and stone. 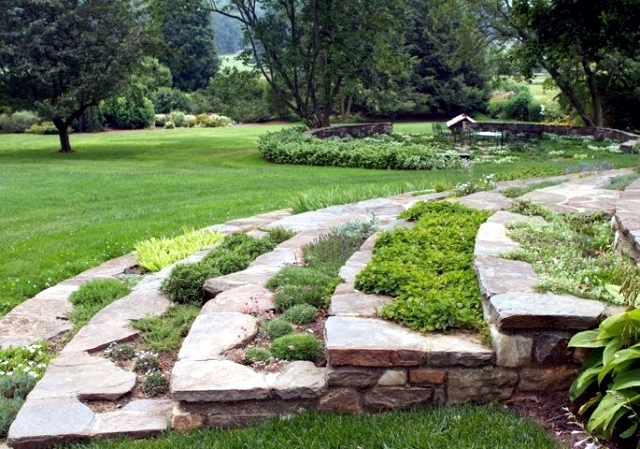 Along with the cut stone or carved stone slabs, you can sculpt small blocks of stone. 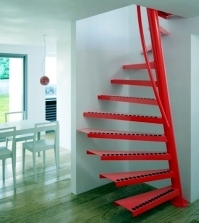 There are several options available for decoration and design of stairs with irregular shapes. Innovative solutions can occur with the combination of small and large stone blocks or stones and bricks in contrasting colors. 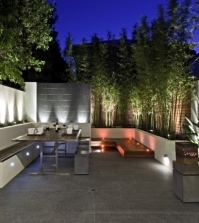 Recently, artificial stone slabs that successfully mimic several natural materials have been used much more widely. 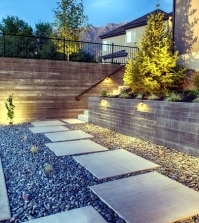 An elegant cover of steps can be achieved by wooden panels. 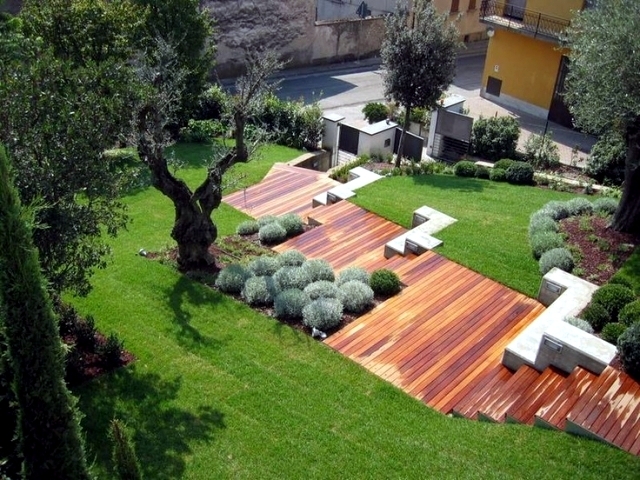 This is a particular type of wood that is weather-resistant and proof against moisture and rot. This coating is nice but temporary. It requires annual maintenance and care. We hope we could help you today with this article.